Vacations provide the opportunity to spend time with family, away from everyday stress, by changing one’s habits and flying to dream destinations. 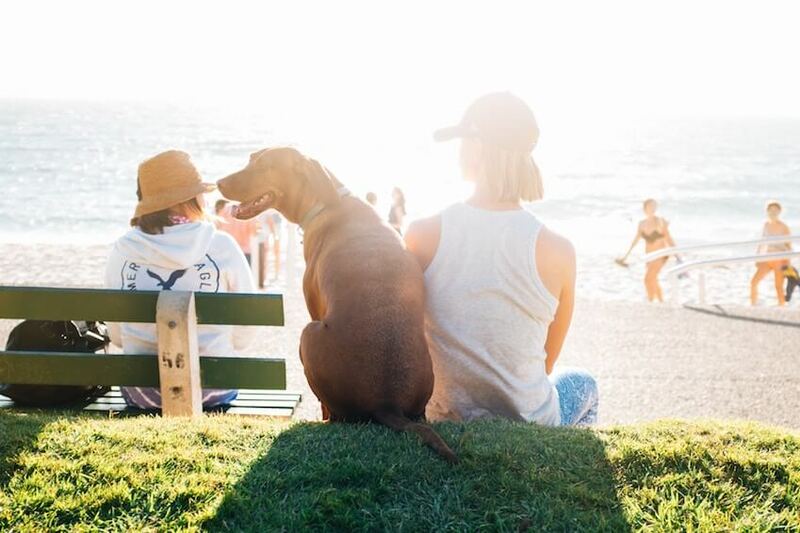 But, for our four-legged friends, vacations often rhyme with boarding kennel or stay at a stranger or at a family member. Many decide to leave their animals before their stay not to have to transport them. And, once on the spot, guilt takes over. But they deserve vacations as well! All year, our companions spend a lot of time alone, impatiently waiting for their owner to come back. So why not bringing them as well and enjoy some of your free time to take care of them? Europe is known to own pet-friendly destinations… In France, Corsica and Provence have pleasant walkways in full nature in peaceful surroundings, perfect for long walks with your pet. Another ideal destination: Italy! Considered as one of the best pet-friendly European destinations, do not hesitate to discover this magnificent country with your four-legged friend. In Spain, Catalonia and Andalusia welcome you with open arms on beautiful coastlines such as Costa Brava and amazing beaches opened to animals, like in Greece. And finally, why not leave in Switzerland for your vacation? 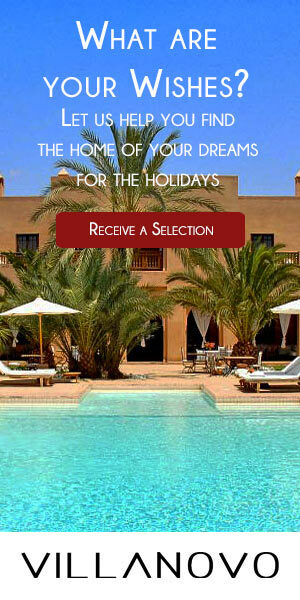 We also propose you other suitable destinations: Morocco, Ile de ré and Croatia, among others. Furthermore, leaving with your dog requires to be well organized. Indeed, you also need to prepare its luggage with vaccination record, pet carrier, food, bowl, toys and other accessories needed to make it feel at home. Before leaving, take it to the veterinary to check if its vaccines and deworming treatments are updated and make sure to take an emergency kit in case. What would you say about renting a 100% dog friendly villa with a big terrain large spaces in the heart of the countryside or near the beach? At Villanovo, we have suitable villas for your faithful companion for a unhindered stay without fearing that your dog escapes: with a closed garden, large open spaces close to parks or natural spaces. And, for the dogs which love water, a location close to the sea, a river or a lake is the perfect option. During your stay, your animal will be pleased to explore the area and new territories, as well as meeting other animals. True vacations for them as well. Under certains conditions, cats and dogs are accepted in our villas. Before booking your stay, get informed on the animals’ reception conditions and especially on the beaches in order to avoid a bad surprise. In summer like in winter, you will surely find how to keep it entertained. 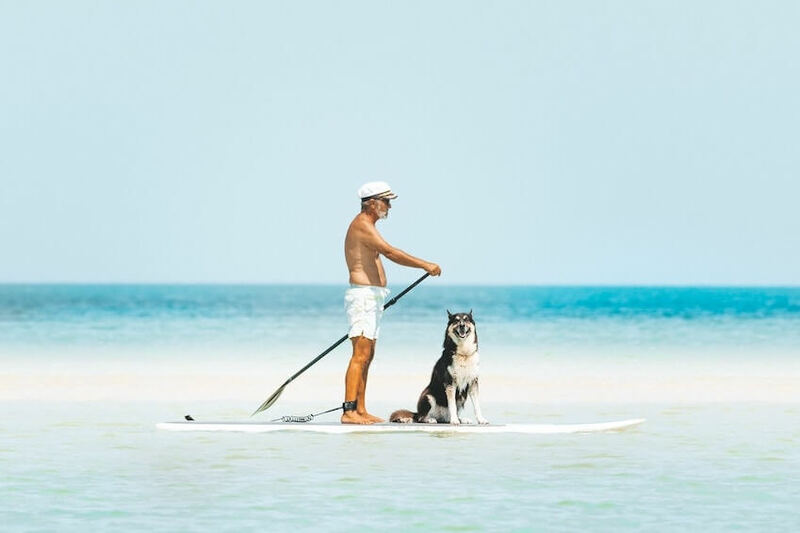 Cani-paddle: you are standing up on the paddle in company of your pet which is sitting down or lying down. It might even fall asleep while the ride. Canoë: Much more stable than the paddle, this activity is ideal to refresh your hot summer days. Surf: It is advised to know how to surf before trying it with your dog. You might fall together and it might not like it that much. Rando-aquatique: Go hiking in a water stream with low depth. An ideal option to refresh your dog in the summer and make him exercise. During the walk, you might want to stop in a lake for a well-deserved bath. Cani-hike with snowshoes: you and your dog are linked with a rope and it helps you moving forward. Cani-skate: your dog is tied to a scooter on skates on which you are and skate just like a real scooter. It is better to try it on groomed ski trails.